On Saturday, June 3rd, Hamilton had the home field advantage. Tim Horton’s Field is tucked into the residential east end, between an industrial skyline and the green escarpment – the two extremes of Hamilton geography, and so a fitting spot for the stadium. THF is good for more than just football games. It’s a game-changer to have an outdoor stadium venue right in our own backyard as you don’t have to travel outside of the city for that kind of concert experience. 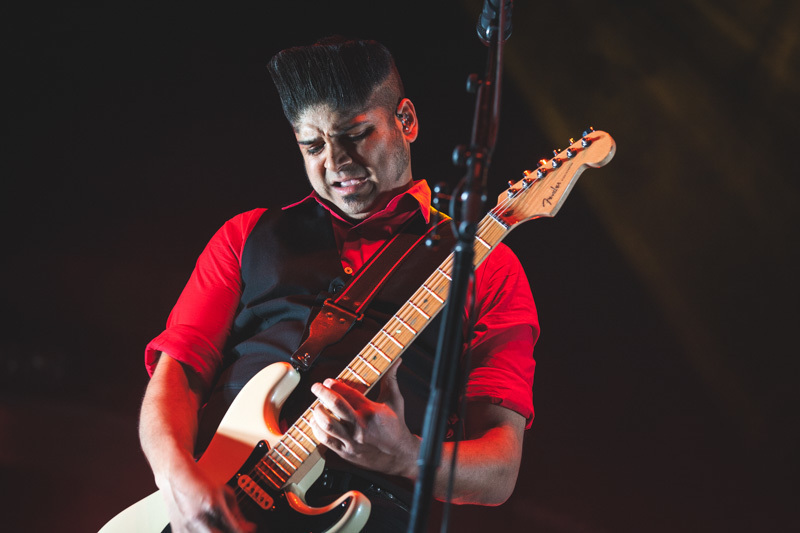 Supercrawl and the Hamilton Tiger Cats co-presented the first full-scale concert at THF since 2014 – an epic rock show headlined by Billy Talent and featuring Danko Jones, Teenage Head, and Rules. They now join the elite ranks of previous performers at this very site: Pink Floyd (1975), Rush (1979), and The Tragically Hip (2012). The concert was also the first event hosted by the West Side Studio at Tim Hortons Field, turning the space into a smaller, 7000-capacity, west-stand venue – not a bad seat in the house.